Ain’t That Enough Tomorrows for Today? Aren’t You Even Gonna Lie? Eleanor, Will You See Me? How Can Everyone Know the Truth (and Still Disagree)? How Many Bites Do You Get? indiana Tollway at 3 a.m. Thank God For Caller I.D. Where'd You Get That Scar? Why Do I Act Like I Do? plus about four songs it’s better not mentioning by name!! NOTE: These are the tunes you'll hear in my performances. 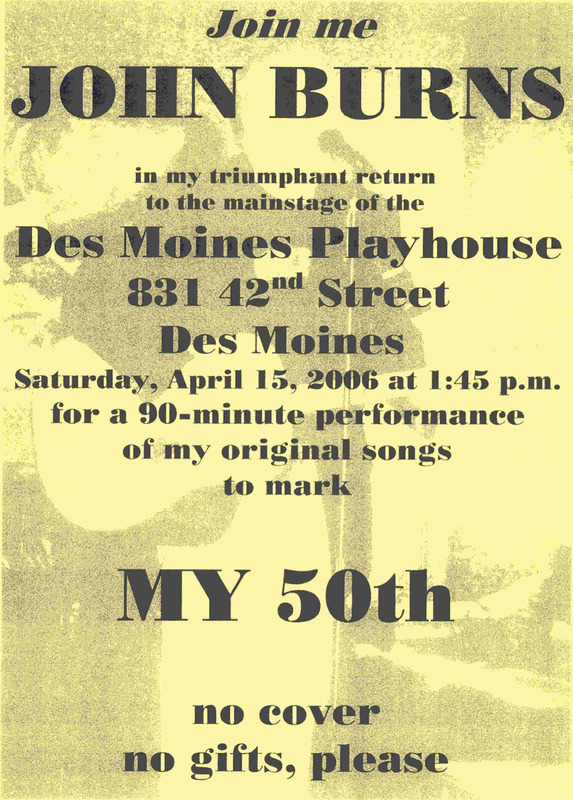 If you want to record or perform a John Burns original, there are thousands and thousands more.